Flashing White Light Bulb will create a pulsating lighting for your Halloween Lightshow display. Works with any standard light fixture. 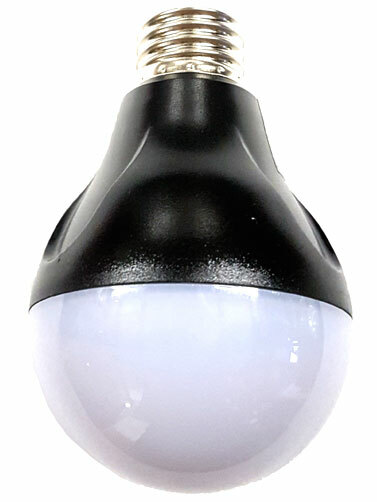 White Plastic bulb with black casing produces a flashing white spolight that fills the room. 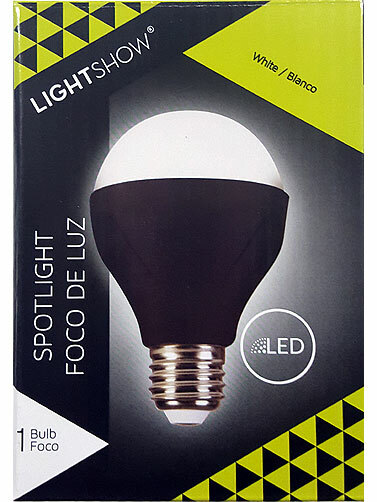 Features 3 high power LEDs. For indoor use only. Flashing White Light Bulb measures 4.25"H x 3"W.